Located high above the Eternal city of Rome, at approx 15 minutes from the historical center, this charming villa boasts one of the most scenic views of the city. Built in the early 1900, the villa was originally the residence of a noble Venetian family and up until the beginning of the century was still considered an exclusive country house. 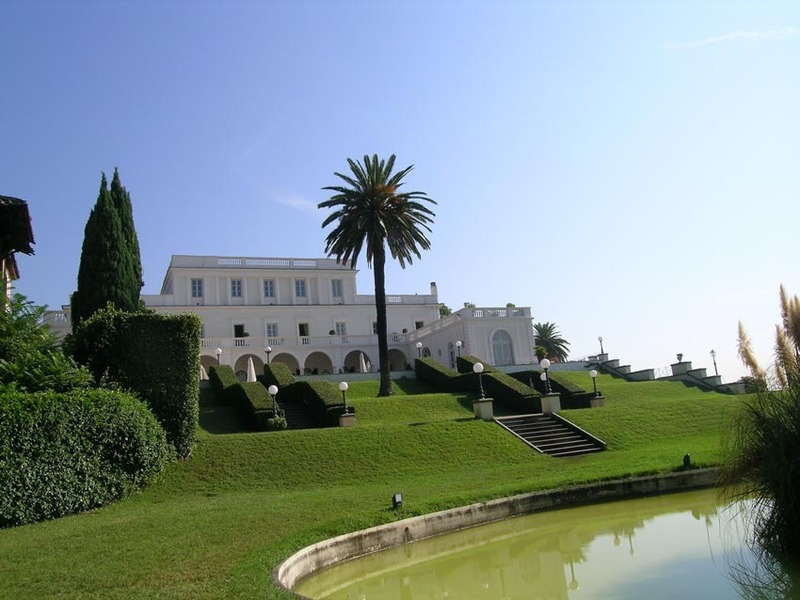 Nestled in a large, secluded park of lush greenery, the villa is separated from the hustle and bustle of Rome. Perfectly restored to its former elegance and grandeur, the villa has been the setting for a number of important events with its splendid private rooms, open-air terrace, garden and fantastic halls. 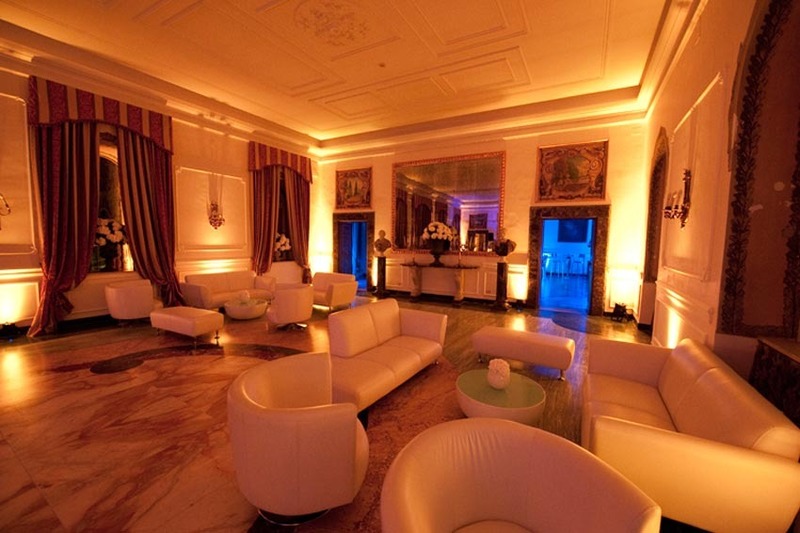 Gala Reception and Wedding Dinners for large groups find their best setting for an unforgettable event high above Rome! The Villa has many halls suitable to wedding banquets with capacities of min. 40 up to max 500 people. We will guide you to select the areas to be used according to the number of guests attending. 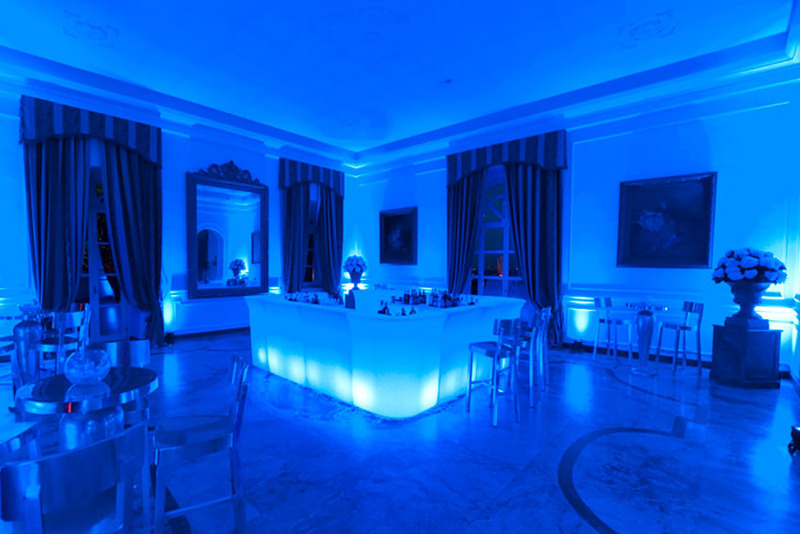 On the ground floor there is a Salone delle Feste for max 550 guests, Sala Arazzi for 60 guests, Salone Veneziano for 160 guests, Sala Casanova for 70 guests, Sala Bellevue for 90 guests other than a large patio for outdoor banquets up to 500 guests. On the first floor there are 4 connected halls of 50, 40, 60, 70 guests for a total of approx 220 seats and a wide panoramic terrace for the aperitif and cutting of the cake. Symbolic ceremonies can be arranged at the Villa. The rented floor will be available from 7:00pm to 1:00am. They apply an extra for each additional hour requested to arrive earlier or depart later. Wedding banquet menus are handled by the chef of the villa. The Villa has no accommodation on site. Best hotels are available at a few minutes’ drive from the Villa. The Villa is open all year round. Booking more than one year in advance is recommended.